Call SEOblog Can SEO Improve onsite conversions? The goal of search engine optimization (SEO) is to increase site traffic and improve your visibility in search engines. It’s all about rankings and gaining that visibility to earn those clicks, and then on-site conversions happen because of other factors. For example, what you’re doing on your actual site (imagine that). Conversion rates measure the percentage of customers who complete a call-to-action (CTA), for example, go on to buy a product after visiting the website – in essence, the customers who actually shop with you. Not all customers are here to buy. It may be the goal, but it’s simply not the reality. This, then, begs the question: Can SEO Improve onsite conversions? SEO is not going to improve your onsite conversion rate by itself. SEO is about visibility and, hopefully, increasing traffic levels. However, SEO can compliment and overlap with your onsite conversion optimization efforts in a few different ways. SEO forces you to use proper heading tags to help keep things clear for the search engine bots as well as users. This organization should also help your onsite conversion rates improve. • SEO says that you need to have clear and focused headlines as opposed to buzzy-y or flashy headlines, which should also improve your onsite conversion rates. • SEO asks that you focus your webpages on a specific product or topic. Again, this should help your conversion rates because it keeps things organized onsite. • If you’re focusing on quality content for SEO reasons (to get you links), that will still help you with conversion optimization (to get you customers) and vice versa. • Aspects like load time and how frequently you update your site matter for both SEO and onsite conversion rates. As you can see, the points above are how SEO and onsite conversion rates overlap. • Is the site user-friendly? Easy to navigate? Visually appealing? • Are you using other forms of content, such as visual aids or videos? Is the content relevant to users? • Have you covered all of your multichannel bases? In other words, does your site work on more than one device? • Are you involved on social media sites? If you said no or are unsure about your answer to any of these questions, you might consider enlisting the help of an analytics team. Google keeps track of all your traffic, who’s talking about you, and how long people are staying on your site – not just the number of visits your site receives. 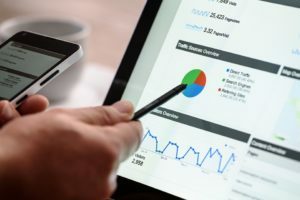 SEO reports and your Google Analytics give you insight into how your site is performing this information can also be used to improve your onsite conversion rates. • Bounce Rate. This is another common SEO metric, but it can help you see why onsite conversions maybe aren’t happening. If you’re noticing that your bounce rate from the page just before visitors reach a conversion page is very high, then it’s that page that needs the work. SEO does improve onsite conversions by nature. If you want to rank well on the search engines then you’re going to have to do a few things onsite that will inevitably improve your site and therefore your conversions. There are other things you can do that probably have a bigger impact on your onsite conversions that maybe don’t have anything to do with SEO, but this doesn’t mean that SEO is completely useless. It’s true that the two work separately on many tasks, but SEO and Conversion Rate Optimization (CRO) can work wonders together. Your site should be easy to find, but it should also provide value to the user, offering useful content that addresses users’ needs.